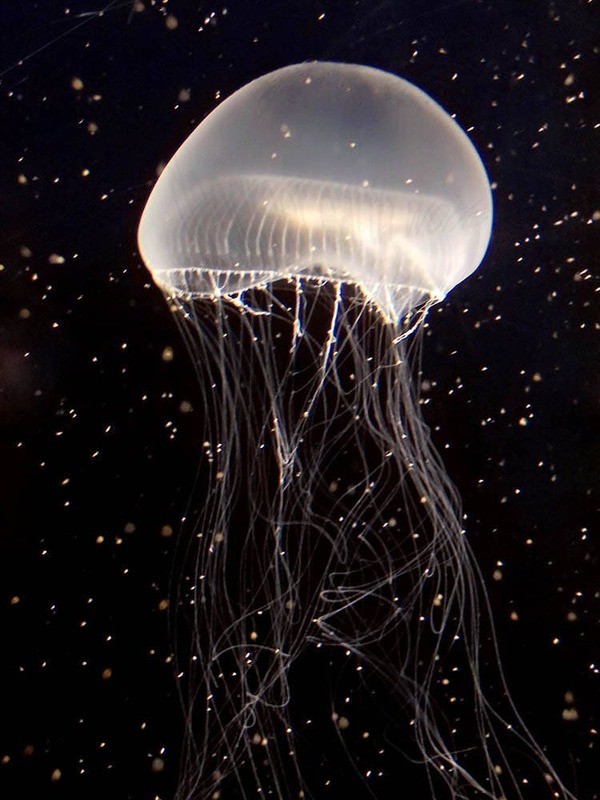 Prey to sea turtles and sunfish, the Aurelia aurita sifts a variety of plankton from surface waters. Photograph was taken in Monterey, California, USA. Image is 1524 x 2032 pixels. The purchase of this file entitles the buyer to unlimited printouts (at home or through a printing service, such as Walgreens) or wallpaper for personal use only. This purchase does not entitle the buyer to use the image online in any form, to sell the image in digital or physical form, or to use any part of the image for commercial purposes. Copyright remains with the artist. Orders will be shipped upon receipt of payment via credit card or PayPal through Etsy's checkout system. Items that arrive damaged will be replaced when possible. Other returns and refunds will be assessed on a case-by-case basis depending on the item and the reason for the claim. All items are constructed in a furry-pet-free and smoke-free space. Google "Daogreer Earth Works" to find me elsewhere on the web.